- Participants may pay in full or partial (20% of the total investment fee) to reserve a slot. All payments including the down payment are non-refundable but transferable. Cancellation of slot is until March 15, 2017 only. As mentioned, all payments that have been made are non-refundable but transferable. 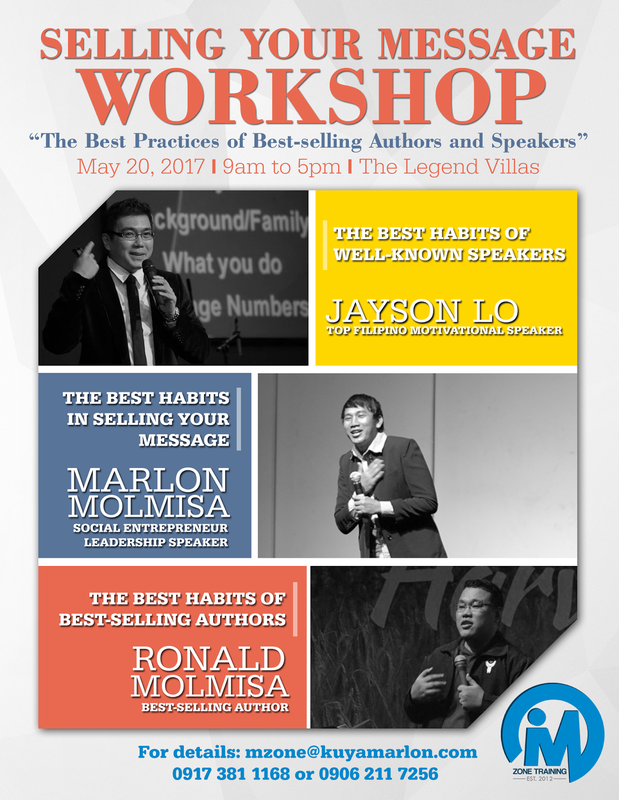 - In case the slot will be transferred to another person, please inform the organizer through email (mzone@kuyamarlon.com) or fill out the registration form (http://bit.ly/2jqdrIQ). Provide the reason for transferring the slot, name and contact details of the new participant. - The Organizer has the right not to accept participants or move the schedule of the program whenever it may deem necessary.